Different shapes hold and conduct different energies this is why the universe is made of sacred geometric patterns that are the blueprint for all existence such as the Platonic solids the five elements. Ancient temples were built using such knowledge to conduct different energies and is why they were built on lay lines. Originally in Kabala the entire Jewish occult system is shown as a cube and the entire alphabet fits into this cube of space which also contains the five Platonic solids. The Hebrew Alphabet is the energy of their thought form they call god. And relates to the element of earth and that of Saturn which rules earth. This is the reason ancient altars where cube shaped as well it symbolized Saturn and earth. This is what the tefillin the black box the Jews wear on their head relates to. It contains the Shema prayer which is a formula arranged with the Hebrew alphabet which is a series of charged yantra's that ties into their energy matrix. The Shema sequence is what unites the Jew with their "god" in Judaism. This unites them and connects them into the energy matrix. Which is the cube. The process described is how the Muslims are unconsciously tying themselves into the Jewish matrix during this mass ritual. Seven is the number of Saturn. All Muslim's must pray five times a day facing the direction of the cube in Mecca. They do this on the solar power points of the day to make the energies stronger to charge this though form. "Tradition goes that the Kaaba was ordained by Allah to be built in the shape of the House in Heaven called Baitul Ma’amoor. Allah in his infinite Mercy ordained a similar place on earth and Prophet Adam was the first to build this place. The first house established for the people was at Makka, a Holy place and guidance to all beings. Qur’an firmly establishes the fact that Ibrahim was the real founder of the Holy Shrine. When Prophet Ibrahim built the Holy Shrine in Makka, his prayers were that this place should remain a center of worship for all good and pious people; that Allah should keep his family the custodians of the Holy place." This cube is also built to the dimension of six which is the number of binding of bringing down astral energies into the material and it also unfolds to form the six pointed star the symbol of Judaism. The above Islamic passage is important it shows that the Christian Religion and Islam tie into each other on the occult level and thus the Torah and Kabala. The city of Heaven is the New Jerusalem in the New Testament which is also given dimensions that relate to six. Which is to descend out of heaven to earth. Note the Islamic passages tie into the Torah and thus the Bible in Genesis as well. And the biblical characters such as Abraham and on. Jesus is even in the Koran as well as Essa with the tale of his divine birth and such and is a major character in Islam. The Islamic religion ties people into this Jewish thought form of Christ. Note Mohammed is also described as being a Jew. The tale of Abraham sacrificing Isaac also ties into the place of the Mecca Cube. In the Talmud, Abraham actually does sacrifice Isaac in a blood sacrifice to Yahweh. Three days later Isaac is then resurrected by Yahweh. This ties into the thought form of Christ as well the ultimate blood sacrifice that is resurrected three days later. The reason for this here is this ties into the actual ritual murders the Jews commit by what the Kabala calls sympathetic magic on the astral and charges the energy of the murders with more power. Islam has mass rituals devoted to offering up the blood of humans and animals as well into this. Note the three days for each. Three is the number of Saturn and the square of Saturn. Three days is also 72 hours. The 72 is the number of the cube as well. This is binding this in with the 72 names of the Jewish god which is shown as Metatron which is shown as the CUBE. The Christian ritual of communion ties into Jewish ritual murder direct as its a sympathetic enactment of how the Jews do this. Including the symbolic drinking of the blood and eating of the flesh while standing around the image of a ritually murdered person on a cross. This ties in unconsciously. The cube for the Christians is the cross. in Kabala its admitted the cross of Christ is the Kabala cube this acts as the focus point for these energies to descend and channel through as well. Every Christian church has always had the cross at the front of the altar were the intention is directed during mass. In Kabala the cube unfolds into the Christian cross and is given six the number of bringing energy into the material. 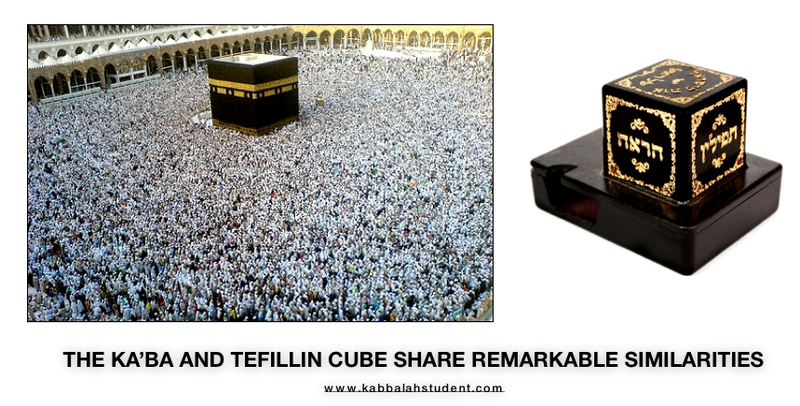 The cube in Kabala also represents GOVERMENT in the Jews case their world government they are working to manifest with the matrix of energy the spell of Christianity and Islam are generating and feeding into the thought form of the cube of energy. Which is why the cube is the symbolic shape of the world government of the Jews and government is traditionally ruled by the concept of Saturn.